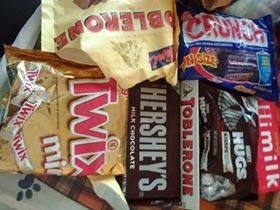 Every time hubby gets back home for his scheduled home leave, he never failed to bring us our own respective loot bags a.k.a. 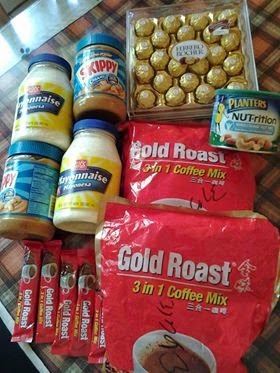 "pasalubong". He's an extra ordinary man. 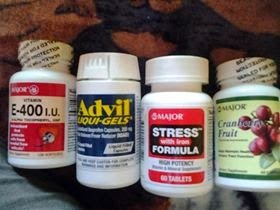 It's not a common thing for a man to go shopping and bring home lots of goodies to the family. Very seldom will a man do that! Normally, they would just shop for their family once they're home buy hubby is an exception! He will do both. Lucky us! I really did not ask for anything special from him even he asked me non stop about what I want him to bring home for me every time we chat on Skype. 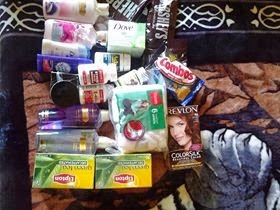 To make him feel comfortable, I just asked him to bring me some beauty and wellness products like facial creams (Olay is my favorite), boxes of green tea, lotions and a complete set of vitamins. Well, he brought me more than what I asked and I'm very thankful for that gesture. He's so sweet and thoughtful! My son and daughter got their own share of "pasalubongs" as well and both are equally happy. Hope we could reciprocate what he's doing for us and we are bound to make him happy during his stay in our humble home.